Dr. Leslie Newman created an ecourse for young women in the workplace. As a psychologist and teacher, she had amazing content but needed a beautiful and inviting landing page to promote it. 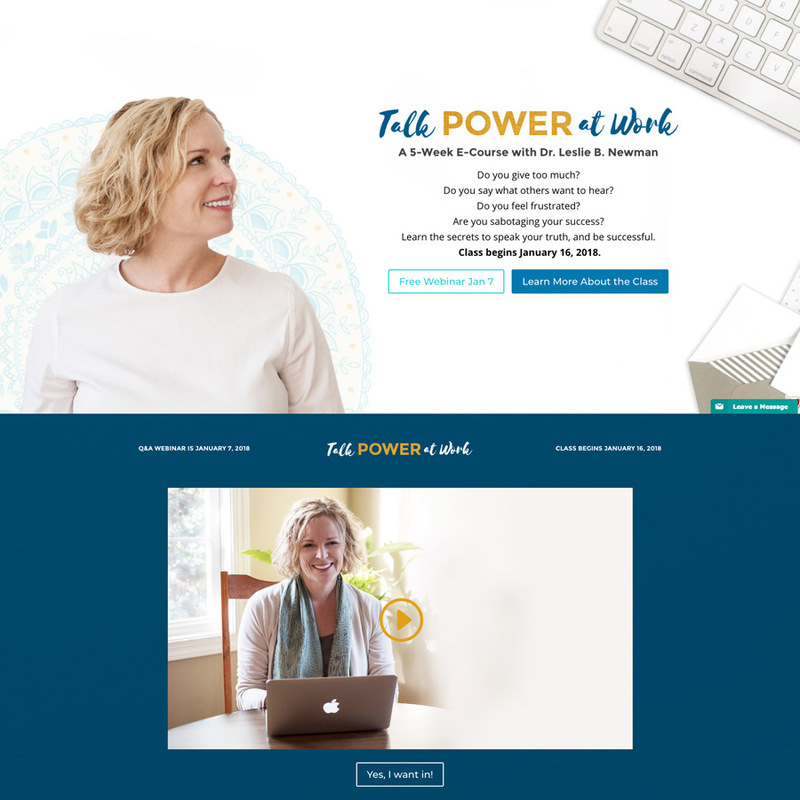 I created the Talk Power at Work logo along with this custom landing page to invite women to learn more about the class. I used friendly photos, videos, and engaging graphics to draw her audience in.